One year ago Saraswati bai felt that everything would be fine in her life like this time, but she was wrong. Actually she and her husband were used to produce only paddy in their one acre landscape, but they were not earning enough amount for the subsistence. Saraswati bai lives with her husband and three children in Machladih village of Raigarh district. Those days she was facing very crucial financial crisis because she used to earn only once in a year. She was becoming poorer day by day. Various times she started vegetables farming in her own one acre landscape, but couldn’t succeed due to lack of proper equipments, water supply, fencing and high quality seeds. Somehow she was dragging the life. Saraswati wanted to continue the education of her kids but she was not able to do that. Sometimes she was not able to arrange the food for her family, in fact she was feeling helplessness and not able to do anything. One day someone suggested her to meet with the volunteers of janmitram, because she was associated with a SHG group of that organization. Few days later she went to janmitram, met with the volunteers and explained them about her problems. The volunteers told her about the donation of Give India Foundation and its benefits. She was so happy while listening to them. 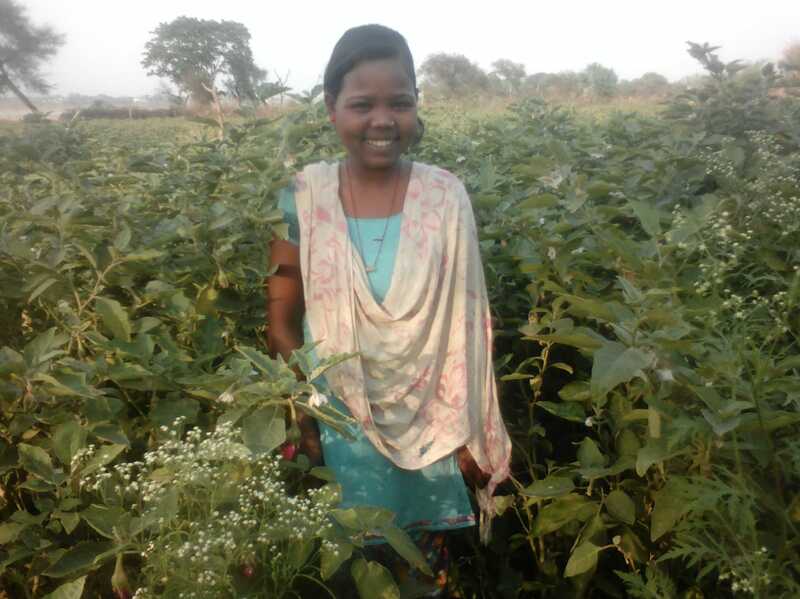 Few days later the volunteers provided her the donation and Saraswati started vegetables farming again with confidence. She had proper agricultural equipment, water supply, fencing and high quality seeds. She worked hard and the result came out as the very good income and smile on her face. Now she earns a good income and living a happy life as the past. She heartily says thanks to janmitram and Give India Foundation. According to her own words “I achieved a happy life because of these organizations, so thanks to them”. Here is a famous proverb that “quality speaks itself”, we don’t need language to express our self. Budhiyarin Nishad has proved it recently. The situations were not like that few months earlier. She was very upset and worried about her vegetables farming, because she was dumb and her 60 years old father was not able to improve the farming. That vegetables farming was the only source of income for her family. Budhiyarin lives with her parents in Bhedvan village of Raigarh district. She was only daughter of her parents. She understood the situations and her responsibilities for the family, but feeling helpless. Various times she tried to improve the farming strategy, but couldn’t succeed due to lack of proper financial help and guidance. Lack of agricultural equipments, water supply, fencing and high quality seeds were the other obstacles for her. While facing all these problems she started living in depression. That day Duleshwari was sitting in the corridor of her house and thinking about the weak health of his father and medicine expenses. She was so worried because her two brothers were not earning even a single rupee. Though they had 2.5 acres own landscape in the village where her father used to produce vegetables, but that was not enough for subsistence and income. That land was the only source of income for the family. Bhedvan is a beautiful village of Raigarh district where Duleshwari Nishad lives with her parents and two brothers. She was 18 years old confident girl, but those days she was worried because the land was not producing enough vegetables in the absence of proper guidance and financial help. Other obstacles for her failure were lack of proper agricultural equipments, water supply problem, fencing and high quality seeds etc. Somehow she was dragging the life with the extra tension about her father and brothers. One day when Duleshwari was going to the ‘Mela’ of the village, one of her friends told her about the SHG group where she was already associated. Her friend suggested her to join the group. She said her that Duleshwari should go to the janmitram to solve the problems. Duleshwari realized it and did the same. She went to janmitram, met with the volunteers and explained them about all of her problems. They listened her carefully and told her about the donation of Give India Foundation and its benefits. They also suggested her some good tips and ideas for the vegetables farming. Few days later the volunteers provided the donation and Duleshwari started again the vegetables farming with enthusiasm. This time she had all the equipments and facilities with proper guidance and financial help. She was assured about the income and hoping that she would be an ideal for her brothers to earn money. बरमकेला विकास खंड के ग्राम बोरिदा का रहने वाला अर्जुन सारथी वल्द समारू मजदूरी करके जीवन यापन करता है. तीन लडकियों और २ लडको के परिवार भरण पोषण करने वाला समारू अपने गाँव में २०१५ में मनरेगा के तहत तालाब गहरीकरण में काम किया था. मजदूरी भुगतान के रूप में साढ़े चार हजार आज तक मिले नहीं, मजदूरी भुगतान के लिए २००० रूपये की मांग थी, किसने की वह आगे बताये जा रहे चैनल में से ही कोई है, मगर यहाँ मेंशन नहीं किया जा रहा. बहरहाल, भटकता हुआ समारू जिला पंचायत तक पहुँच गया. 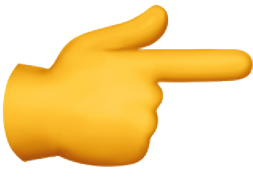 सुयोग से जनमित्रम के निदेशक रमाकांत पाढ़ी से मिल गये. पाढ़ी साहब ने खोजबीन की. सरपंच नारायण प्रधान और सचिव मनोहर पटेल से बात की, और नरेगा सॉफ्ट से खोजा तो पता चला की भुगतान का FTO बहुत पहले ही क्लियर हो चूका. इनका खाता आईसीआईसीआई बैंक में है जहाँ अमुक नंबर के खाते में पैसे कब के जमा हो चुके हैं. मगर भुगतान करना, बैंकिंग कोरिस्पोंडेंट अर्थात निजी कम्पनी FINO की जिम्मेदारी थी. FINO के स्थानीय कार्यालय की तलाश हुई. कम्पनी के अधिकारी रत्नेश साहू ने पाढ़ी साहब और समारू को बड़े प्रेम से रिसीव किया और फिर ४५०० का भुगतान मिला. पाढ़ी साहब ने बड़े गर्व से घटना सुनाई. हमने सोचा आपसे भी शेयर करें . फिर क्या हम ये मानें कि राठिया एण्ड सन्स की सफलता की कहानी यहां खत्म नहीं होती !!!! A large part of the one-room house is occupied by double bed, rest filled with an air-cooler and small TV over it. Some buckets and utensils on floor, pictures of different goddess on wall. Bed rumbled with Clothes, school bags, books and copies. Cooking is done outside in open, near which is cemented floor for washing dishes. A little distance is a cloth-veiled space, perhaps a bathroom. A beaming Suhila have brought us to show her house. The reason of her proud – It’s her own house. Just half an hour before, Sushila Sahu was attending customer through a small opening on wall when we arrived. Shop is a lone brick structure of size 8X8 feet, covered by asbestos roof. A sewing machine kept in shop to indicating tailoring also done here. While we talked, an oblivious kid sitting at shop floor was engrossed in studies. I picked his book. It was Class 6th textbook of science, reading states of matter – Solid, liquid and gases. As we talked, knew that sushila is married to Thakur Sahu, for 17 years. They have four kids aging 10 to 15, two of them twins. Thakur is a driver and earns little for a family to sustain. Two years back, Sushlia Joined one of our training program to learn tailoring. Then she became Member of Tulsi Self Help Group. Initially the group got credit support and amount was divided among members. Sushila bought a sewing machine with her share. That opened way of Small income by tailoring, and sushila became financially independent. The second round of credit she started a small grocery shop. By the time second group based loan was closed, Sushila mustered enough courage to apply individual loan. She took 50,000 Rs and invested half in shop, and half in her dream. The dream was to own a house. After wandering 17 years in here and there, changing rented rooms, her desire to own a house is understandable. The One room house was erected, just behind the shop. These 20 yards are now Sushila’s world. She runs shops, runs sewing business at same place, oversees children, their studies and her house. Her tailoring is good, cost very low hence women from nearby villages also come. Few of them have become permanent customer for grocery. So both businesses are thriving. We talked to kids who adore their mother. Eldest Santosh and Daughter Dimpy are studying in class 9. Son wants to become police officer and daughter is determined to be engineer. Younger of twins, Manoj (the science guy) wants to become Doctor, and Mahaveer want to be same whatever manoj will become. While every kid answered; I noticed colours come and go on sushilas face. I tried to figure her mind. Higher Education to four kids is not easy to afford. With each child shot answer to me, her brain was calculting how she will manage. Then her eyes rolled towards Manoj who was back to his book, reading “state of matter”. And then her looks changed. I can see a pacified face. Like gases and liquid of self doubt, are getting replaced by solid determination. We waved goodbye and left, preying silently for the solid lady. Rural entrepreneurs nurturing programme of JanMitram Kalyan Samiti is helping people like Sushila who are landless, resource less, unskilled and not qualified. Repeated credit access strengthens their business and livelihoods. We hope that this programme will help more shushilas in coming days, to build their house, to educate their children, and to create excellent, cost effective service providers to community. Its early july, peak time for Agricultural activities in india. Ashwini Chouhan wakes up by a ringing phone. It is only 6.40 and mobile shows unknown cllaer. He picks to find someone greeting him aloud . 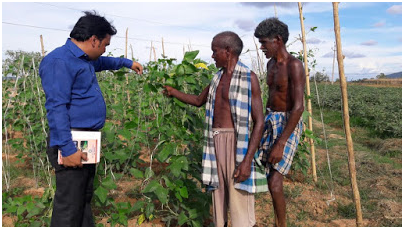 “Sir, I am Krishna Rahtia of taraimaar village ...” “Sir, we are going to sow soya-bean and waited long for you yesterday, you won’t come. Will you please come today??”. Krishna tells he is already at field. Ashwini answers him apologetically. Yesterday was very hectic, he counseled farmers in different places. But Heavy rain in evening stopped his way to krishna’s filed. He quickly assures that he will be there in one hour and attend his field first thing of day. 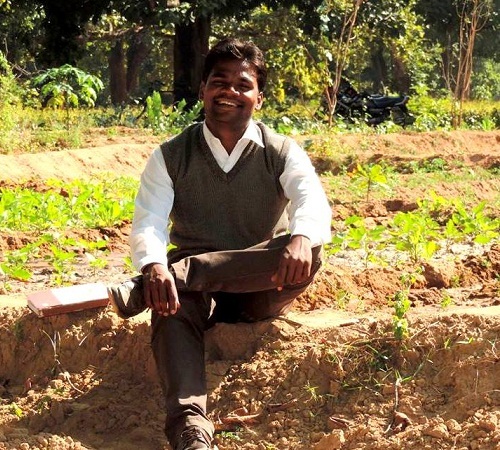 A Scholar of Agriculture, Masters in Horticulture, and Lecturer of five years Agriculture collage, now Ashwini chouhan is working in janMitram’s programme named as “Agriculture Development Initiative in Tribal Areas.” The programme is meant to improve land and water usage of farmers, infusing new techniques, changing cropping pattern etc. We use convergence of government schemes for benefit farmers i.e. MGNREGA, Watershed development, Prdahanmantri krishi vikas yojna, Shakambhari schmes and many other. Credit support through KCC and and institutionalization through producer’s organization, farmer’s club and Self help groups are important element of program. The program has successfully added 3000+ farmers and help them improve their productivity, soil health, Farm calendar and land use. Ashwini Chouhan indeed arrived at krishna’s farm. He speaks to his family about sowing of soyabean and other crops. He inspects vegetable and finds pest attack. So He calls neighbouring farmers and collectively they are advised to use appropriate pesticide. He collects soil sample and readies to move ahead. His next stop will be Ambetikra village where a group of farmers are already waiting to learn seed intensification in rice. He recalls his first day in JanMitram headquarter, when he came to see one senior member. “During my interview, I emphasized my knowledge and flaunted difficult agriculture terminologies. What i received was forewarning- First; Make it simple for farmers to understand. Second, we need more emotionals and less professional. The second part he didn’t understood. “Today I understand what it means to be an emotional professional”- Ashwini says. “Success of my farmer have become my own success and their plight my own. After spending years teaching books of Agronomy, I now really able to use my knowledge for benefit of fellow citizen. This satisfaction is greatest reward. He smiles, so does the family of Krishna Rathia. At the moment, sun suddenly came out of clouds and their faces glitter with blessing of god. On Bombay howrah railway line, koterlia is first passenger stop. Tarpali village is 4 kilometres from railways station. When you enter village, Signboard of high school appears. Maya’s house stands where school boundary ends. A small gate and earthen house inside courtyard greets us along with Maya and her daughter. MayaBai, is member of Bhavani self help group. The group was formed in 2014 and Maya along with other women of SHG started contributing 100 Rs each per month. The small collective was used to fetch loan from Ravi cooperative federation. The first dose of Rs 40000 lent the group maya opened a small shop at her house. This helps her to earn 300-400 per day. The second credit issued few month back, have been used by other women of SHG for leaf cup-plates making. Maya ages 45 and is a mother of six. Five daughters Rani, Tijiya, Tiresia, Santoshi and Sarita and one son Santosh. All dourgters have been married except sarita. Son works as building worker, husband as a labour. What is your husband’s name...? i asked. Shy old lady stretched her hand. “Motilal” was tattooed there. I was made aware of the tradition of not calling husband’s name. “My husband used to be a potter”- Maya started talking. “But these days who buys pottery and Khappar (mud tiles for roof). We can go for making bricks, but brick furnaces cost too much. All lifetime savings spent marrying daughters, so nothing is left to invest”. Nothing needed to understand her concern to marry yet another girl. I turned to my colleagues Kriti and Manoj, and asked how their repayment performance was. “Very disciplined sir”- Answered Manoj. I suggested Maya to apply For 70,000 Rs loan before October, when potteries are high in demand due to Deepawali festival. Additional income from festival will add up to investment in brick furnace. Maya liked the idea and her eyes lit with hope. We inspected her shop and clicked photographs. Bid Farwell to Maya and family, rode on vehicle for back journey. 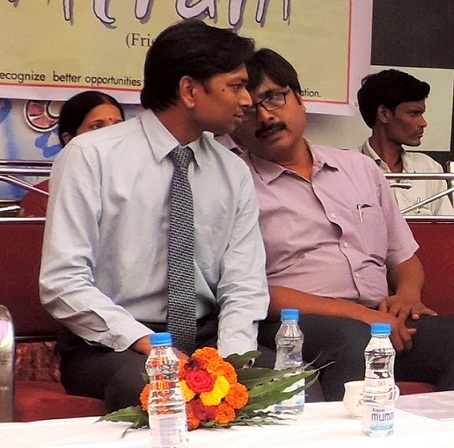 I heard Manoj asking – “Sir, you generally do not commit loans at field, why you did today”. “It was your answer Manoj” – I laughed. Urmila Bai Mahant believed that to accept something and to fight after acceptance is two different things. She was a lady who never quit the battle, but those days she was feeling helplessness. The reason behind it was that various times she tried to start vegetables farming in her own 50 dismal landscapes, but didn’t succeed however. 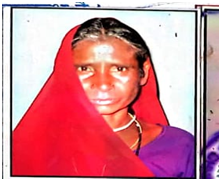 She lives in Telikot village of Raigarh district with her husband Rajendra and only daughter Bhoomi. In fact that 50 dismal land was her only hope where she used to do vegetables farming for income and subsistence. She was not able to produce anything at there only because due to lack of proper equipments, water supply and fencing etc. she was becoming poorer day by day and started living in depression; even she was not able to think that what she should do at that time. One day she was sitting in the corridor of her house and crying in alone. Suddenly one of her best friend and well-wisher Santoshi saw her on that condition. After a long conversation Santoshi suggested her to go to the Ravi Cooperative’s meeting where she was associated since a long time. After few days Urmila Bai came in the meeting with her friend Santoshi. Members of the meeting suggested her to meet with the volunteers of Janmitram. After a while she met with them and explained about all of her problems. They told her about the donation process of Give India Foundation. They also suggested her some good ideas and tips for her vegetables farming. Soon the volunteers provided her the donation and she started again vegetables farming with proper agricultural equipments, water supply, fencing and lots of confidence. That day Shyamwati Rathiya was really hurt when she went outside for toilet and a man was staring towards her, spontaneously she decided to make a toilet inside the home. Actually she wanted it since a long time but couldn’t succeed due to poverty. 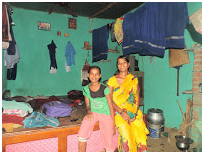 Shyamwati lives in Tenda village of Raigarh district with her husband and two children Seema and Mukesh. It is situated among the jungle near Gharghoda block. Those days she was facing a horrible financial crisis in her life. Sometimes she was not able to arrange the food for her family. Various times she tried to start vegetable farming in her own 5 acres landscape but couldn’t succeed due to lack of proper water supply and agricultural equipments. 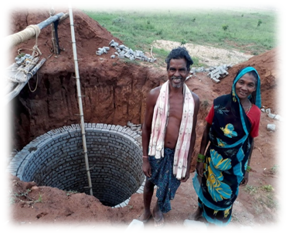 Gradually she realized that there was urgent of a well for water supply, so that she would be able to earn a good income through it. She did all her best efforts to do it but she was completely helpless at that time. There was a self help group for women in her village. One of the members told her about Janmitram and Ravi Cooperative. After hearing it there was a ray of hope in her wet eyes. After few days she came in the meeting of Ravi Cooperative with her same friend who told her about all these. The members suggested her to meet with the volunteers of Janmitram. After a while Shyamwati met with them and explained about all of her problems. The volunteers told her about the donation process of Give India Foundation through which they use to help people financially. They suggested her to dig a well as soon as possible in her landscape where she tried to start vegetables farming various times. Soon the volunteers provided her the donation and she started again her dream project. First she dug a well at there with proper equipments and lots of confidence. Now she is one of the happiest ladies in the village. 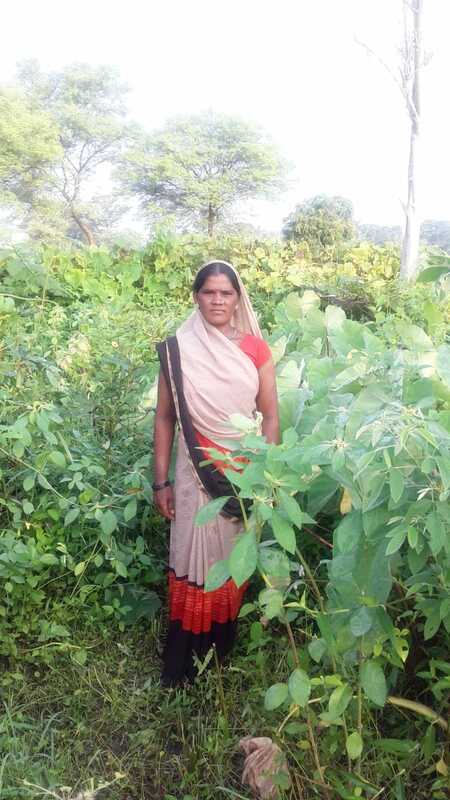 She earns very good income through her vegetables farming. It is 40000rs in a season. Now she spends 3000rs for the education of her children. The most important thing which she has achieved is that she made a toilet inside the house. Now she and her daughter is not compel to go outside for toilet. She says that I achieved my goal only because the help of these organizations, and she also says heartily thanks to Janmitram, Ravi Cooperative and Give India Foundation. Courage always wins during the fight with poverty. No matter that you are literate or illiterate. Saniro bai mahant just proved it before few days. Actually she used to think that her illiteracy is the main reason for her poverty, but she proved it wrong, when she realized the base of her all problems one by one. Saniro bai lives in Batura Kachar village of Raigarh district with her husband Mitthu Das and only son Nilambar, who is physically disabled. Her husband Mitthu das was also almost disabled due to age factor, so all the responsibilities came into her shoulders. Another problem with her was Saniro wanted to construct a toilet inside the house but she was not able to do that anyhow. She used to think that if her disabled husband and son wouldn’t have to go outside for toilet. Those days she was facing critical financial crisis. She had one acre own landscape in the village where she used to produce vegetables for income and subsistence. This land was the only hope for her life, but she was completely failure on it to produce vegetables. Maybe there were many reasons because of she became poorer, i.e. lack of proper agricultural equipments and fencing etc. Once she realized that lack of proper water supply is the base problem because of she didn’t succeed at all. She decided to dig a well as soon as possible. One day one of her well wisher told her about Ravi Cooperative’s meeting to solve her financial problems. She went at there and told them about the situations. The Cooperative members suggested her to meet with the volunteers of Janmitram. She did the same. She met with them and explained all of her problems in front of them. They listened her carefully and told her about the donation process of Give India Foundation. They also suggested her some good ideas and tips for well digging process and vegetables farming. The volunteers provided her the donation within few days and again she started vegetables farming with proper equipments, fencing, and with proper water supply. 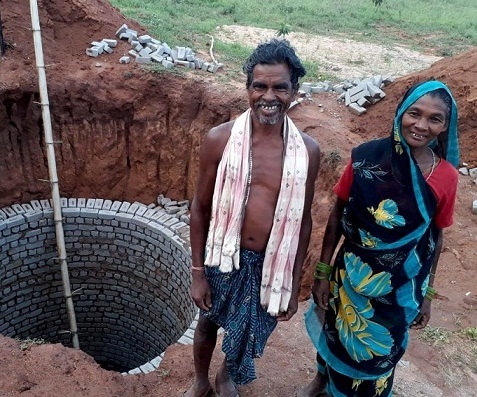 She was so happy now because finally she dug a well at there. Soon the result appeared as the good income with smile on her face. 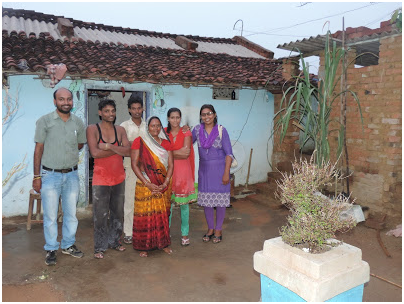 Another important achievement that now Saniro bai and her family members don’t need to go outside for toilet because she has made a toilet inside the house. Now she earns much more income than her past time to full fill the requirements of her family. now she is one of the happiest ladied in the village. She achieved her goal by the little help of these organizations, and she heartily says thanks to them. Jagmoti Rathiya and her husband Bodhram were observing their barren landscape with tearful eyes. They never thought that they could ever become poor like this time. 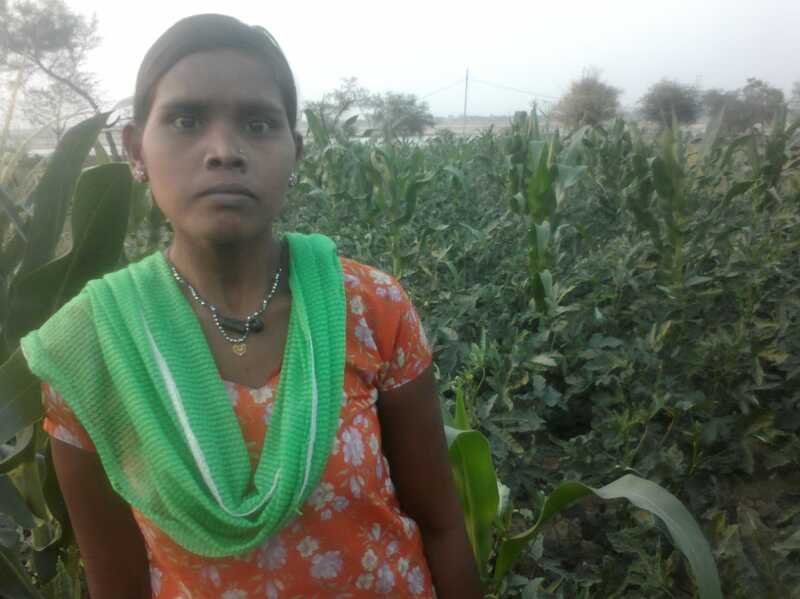 Though various times Jagmoti started	vegetables farming in her own 5 acres landscape, but didn’t succeed due to lack of proper water supply and proper equipments. Those days she was facing a horrible financial crisis. 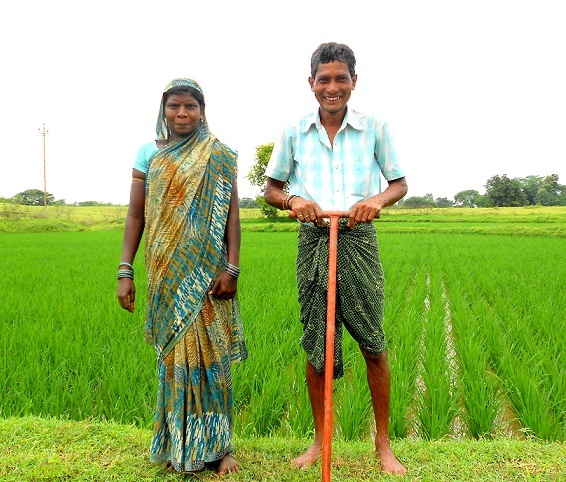 Jagmoti lives in Tenda village of Raigarh district with her husband and only son Anil. It’s a beautiful village among limitless mountains and jungle. 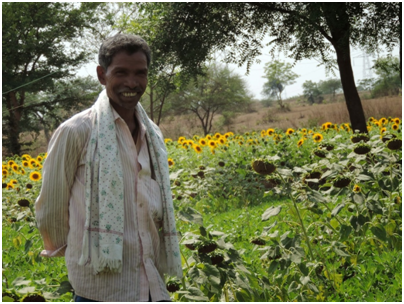 Most of people were living a happy life through their farming, except Jagmoti. Actually her son needed school fees to continue the education but she couldn’t arrange the money at all. Sometimes she was not able to arrange the food for her family. Her husband was also giving his best efforts to reduce the poverty but couldn’t succeed. Jogmati was not happy with her vegetables farming. 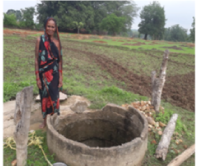 After few days she realized that she had no proper water supply in her land where she used to produce vegetables for income. Once she came to Ravi cooperative’s meeting with her best friend Budhwari bai. 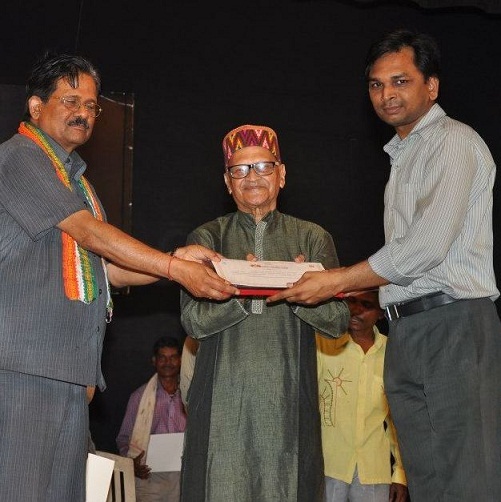 Budhwari was one of her well wisher and associated with this organization since a long time. She took Jogmati with her to this meeting because she knew that Jogmati would definitely get solution for her problems. They entered in the meeting hall; Jogmati pulled a chair, set on it and started listening carefully. She told them about her problems. The members suggested her to meet with the volunteers of Janmitram, and she did the same. The volunteers listened her problems carefully and explained her donation process of Give India Foundation. They also suggested her to dig a well on that land where she used to do vegetables farming. Soon the volunteers provided her the donation and Jogmati started again her vegetables farming at there. She started digging the well at there which is not yet complete, but she is so confident and happy this time because she is doing everything in a proper way and with good plans. Individually she thinks that all the good things which is going to happen in her life is only because the help of Janmitram and Give India Foundation. She heartily. That time Nanhi bai Nishad could do only one thing, either she save her cattle or save her younger son who was suffering from fever and hot like boiling water. Actually Nanhi bai was facing horrible financial crisis on those days. Sometimes she couldn’tarrange the food for her family and feel helpless. However she saved both of them but problem was not yet solved. Her husband Purushottam Nishad was also trying to do his best for the family but he was unable to do that because of his low salary in a private firm. Various times Nanhi and Purushottam tried to start vegetables farming on their own 50 dismal landscapes in the village. They worked hard but couldn’t succeed due to lack of proper water supply, proper agricultural equipments etc. Nanhi bai lives in Tarapur village in Raigarh district where people believe in hard work and happy life. She was also one of them who never give up the fight. Once she came to Raigarh with her friends,here she came in the meeting of Ravi cooperative. She didn’t know anything about it before. It was just beginning of the meeting when she entered there. She pulled a chair and started listening carefully. Here she realized that now she is very near to the solution of her main problem poverty. Anurag Kispotta was living with his mother Sumanti Kispotta in Gharghoda. Sumanti had responsibilities of two kids after becoming a single parent. She leaved her husband and it’s very difficult to educate and fulfil the needs of her children. Sometimes she couldn’t arrange the food for her kids. In fact she was facing horrible financial crisis on those days. Though she was working in a school as a peon and earning 3000rs, but not able to educate her kid Anurag. Sumanti was one of those people who never give up the battle. She tried to improve her financial condition various times, so that her child Anurag would be able to educate in the school. As we know that Janmitram is completely concerned for women and child development. While watching her struggle for her child Anurag, Janmitram has adapted this kid and providing free education in its school. 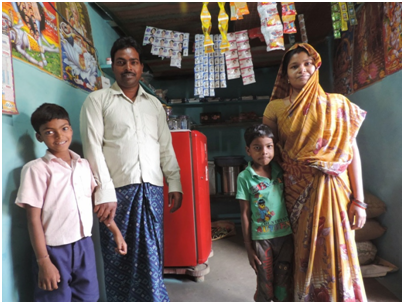 Sumanti is now a happiest person because she saves little money and fulfills the needs of her kids. sports boy for the session 2016-17 in class. He wants to be an athlete in future. come out from that crowd where rays of education do not reach”.